The MSR Dragonfly is one of their best-selling products because of how well it fits every purpose. It can run on white gas, kerosene, unleaded auto fuel, diesel, and jet fuel. It can support pots up to 25 cm in diameter which, despite its small size, makes it ideal for group cooking. It folds to one-third of its working size to save space in packs and nest inside pots. It has full flame control ranging from simmer to full heat. If you need one stove that burns everything and can feed everyone, the Dragonfly is the weapon of choice. 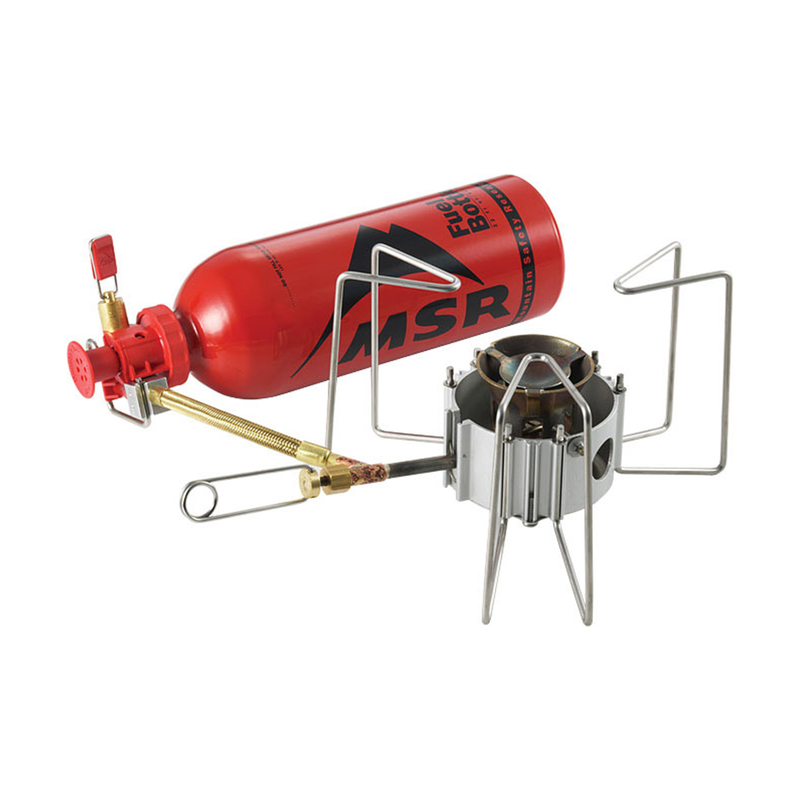 • Unrivaled Flame Control: MSR pioneered the dual-valve design of the Dragonfly stove, enabling it to deliver precision, simmer-to-boil control. • Multi-Fuel: Burns white gas, kerosene, unleaded auto fuel, diesel, and jet fuel. • Compact: Folds to 1/3 of its working size and fits in a two-litre MSR pot for easy storage. • Field Maintainable: Shaker Jet™ technology and smart engineering allow complete cleaning and maintenance in the field.